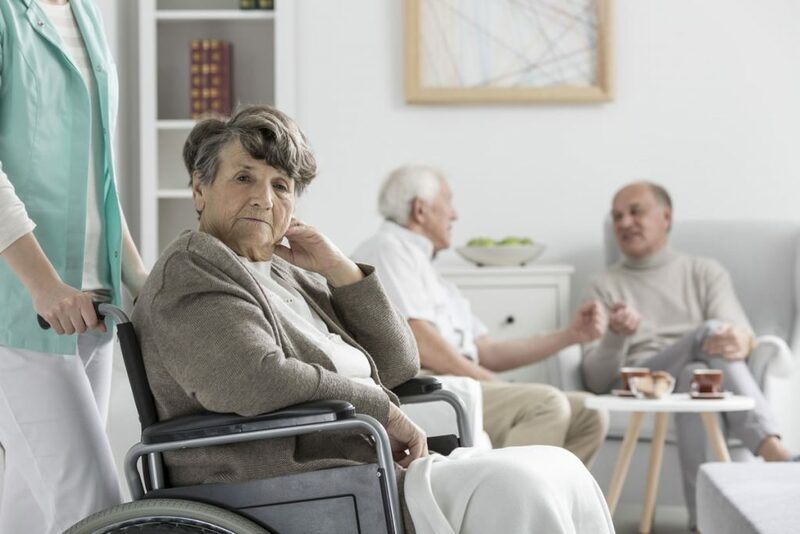 Nursing homes or assisted living facilities are often a transitional step for the elderly after they stop living independently at home but before they enter a skilled nursing facility. Although the number of nursing homes is booming, oversight of these facilities is very limited, and the regulations governing them vary state by state. This lack of uniformity is also evidence in how nursing homes are funded: 43 states, including Illinois, allow Medicaid funds to be used to pay for assisted living care, but the specific services that are funded vary across states. Facilities in the remaining states are entirely private pay, which often leads to facility management making decisions about resident acceptance and retention with an eye toward increasing income over improving resident care. Many corporate nursing homes use a system that assigns points to each resident to quantify the amount of care the resident requires based on individual assessments. Facilities can use these individual assessments to estimate how much daily staff time must be devoted to each resident and the aggregate amount of time needed for all residents on any given day. This point system can be used as evidence that a facility management knew their staffing was inadequate to meet the residents’ needs.